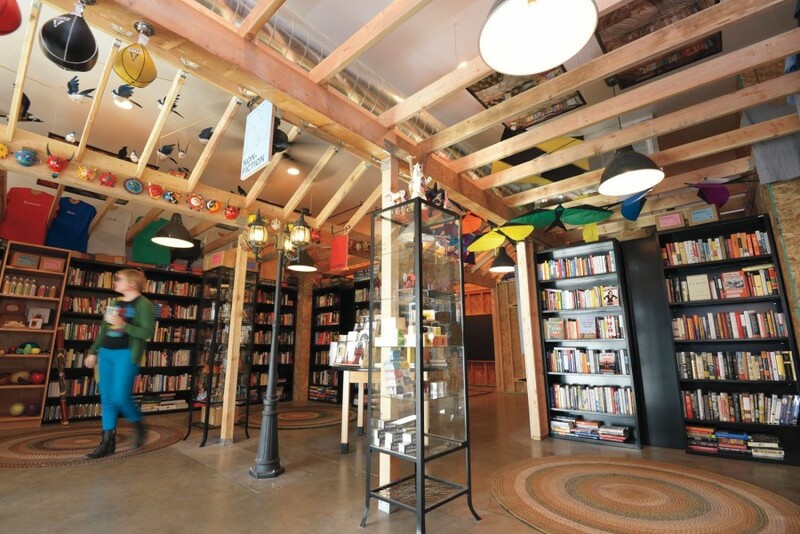 We bet you haven’t seen a bookstore like this before. It is no surprise it sits in the Downtown Project of Las Vegas. The Writer’s Block Book Shop, Las Vegas’ only independent bookstore and it’s studio, Codex, offers free writing workshops to Las Vegas students and writers. They have workshops, events and field trips to help expose students to literacy, reading and book making. Their field trips are like no other! Students make a book in their ‘throw back book machine’ and are greeted by a talking rabbit and other surprises throughout the store. The owner of the shop, Scott Seeley, is no stranger to adventure based shops, having owned others in NYC, but he was driven to bring literacy and this type of store to Vegas in it’s Downtown Project which is a collection of shops and stores. Scott wants to introduce innovation and learning to the city.